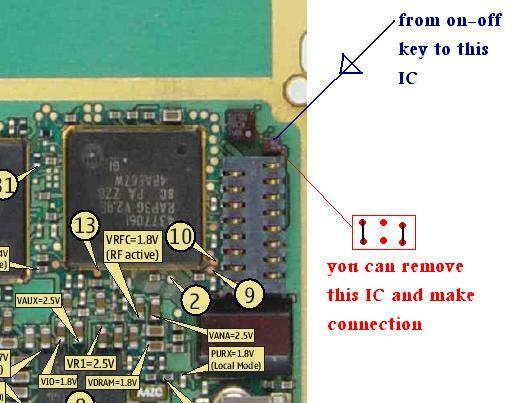 The power button for Nokia 6680 has a small size, so it easily broken if we often press it on and off, for example to change the SIM card. Some times, when the phone fall into the floor, some power switch button parts loss from the board, or the line broken. 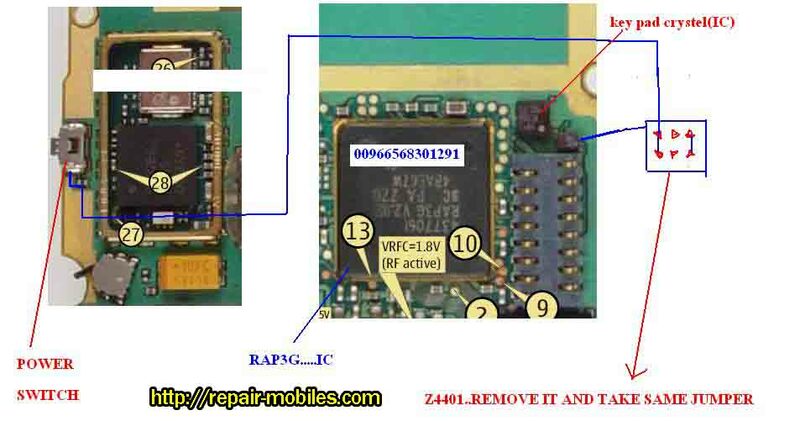 To repair this problem, we can see the Nokia 6680 schematic diagram to find the broken line and reconnect it using a thin wire. 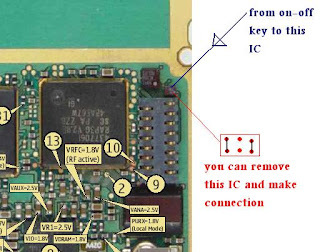 Below, we provide some pictures relating to Nokia 6680 power on/off problem as a guide for you when you find the same problem. 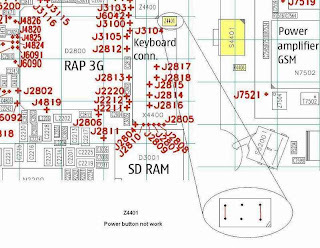 The picture show you how to make a jumper and what parts need an attention.